Bebbingtons are a 3rd generation Staffordshire family business.Today they have a contracting arm working for brick & masonry companies, builders and home owners who require a remedial service for their masonry problems. 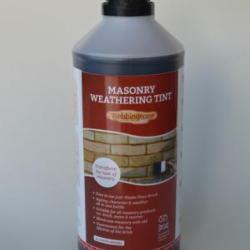 They also retail masonry tints through a network of independent builders merchants and online through their website. They are always looking for independent builders merchants to expand the network of retail outlets for Brick, Masonry and Mortar Tint. Since 1968 the name of Bebbingtons has been synonymous with brick and masonry tinting in the UK and beyond. Today, Bebbingtons products and services are helping to make the built environment a nicer place to live. Any brick to any colour has been the mantra at Bebbingtons for over 40 years. However today Bebbingtons are increasingly asked to change the colour of many other construction products or materials. These include natural stone, concrete, mortar, clay tiles and reconstituted stone. Available at our main depot.